Dealing with individuals who say negative things to you—comments sometimes being downright rude or unkind—is always a challenge and likely will be for our entire sojourn on this planet. Those types of people tend to have a habit of negative and unkind self-talk and it spills over when they speak with others, as people tend to communicate with others in the style they use with themselves. It can be rather humorous when you come right down to it, if you are healthy enough not to take the comments personally. Here is a story from my school-nursing years. I hope you enjoy Clothing Dries. Follow Taylor’s weekday blog and stimulate your brain while learning more brain bits. 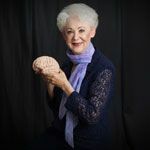 Access Taylor’s blog from the website homepage (www.arlenetaylor.org), have it sent directly to your email, or access it from her Facebook page (Arlene R. Taylor PhD Brain Function Specialist). Avocados. A marvelous fruit! Along with dark chocolate they contain Phenylethylamine, or PEA, in addition to some very healthy forms of fat. Since responses to these types of questions are not really recipes, per se, Taylor has added “Miscellaneous Tips” to the recipe section. Check that out for suggestions on how to use unripe avocadoes and for ways to speed up the ripening process. You also might enjoy the recipe for Virtual Pizza, a plant-based option that is very tasty. The website www.LLM.life is up and running. It contains additional resources and, of course, a special section for all LLM Certified Facilitators. You may follow the LLM program in your own home using the textbook, companion notebook, and audiobook; and you may also become a LLM Certified Facilitator, which authorizes you to present the12-week brain-based program in your community, school, church, or organization. A person's health isn't generally a reflection of genes, but how their environment is influencing them. Genes are the direct cause of less than 1% of diseases: 99% is how we respond to the world. The implication is that this basic idea we have that we are controlled by our genes is false. It's an idea that turns us into victims. I'm saying we are the creators of our situation. The genes are merely the blueprints. We are the contractors, and we can adjust those blueprints, and we can even rewrite them. Genes are not destiny! The moment you change your perception is the moment you rewrite the chemistry of your body. 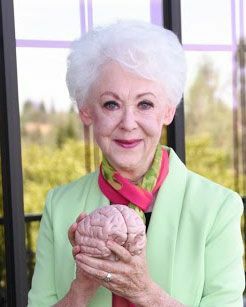 This sums up the reason for the brain-based 12-week Longevity Lifestyle Matters program. Since everything begins in the brain, your level of health involves mindset and self-talk, both of which impact your perception and are, in turn, impacted by your perception. It’s really quite simple.